Several years ago, while Googling some climbing areas, we stumbled on to a photo that stopped us in our clicking. It was an impossibly perfect needle of what appeared to be solid gold granite. "What is that!!??" That, was the Écrins National Park's Aiguille Dibona. It was promptly moved to the very top of our must-climb list. A couple of months later we went and we are happy to report that our very highest expectations were met. 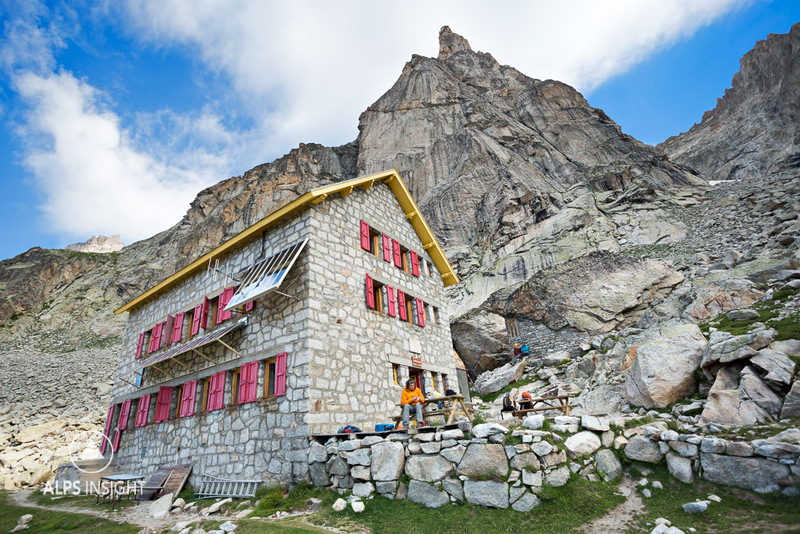 The Aiguille Dibona is a destination of pure fun. Located in the Écrins National Park of the French Alps, the area is often overshadowed by its neighbor, Chamonix Mont Blanc. We found the area to be gorgeous, less crowded, and for lack of a better description, much more French - in the best possible way! The approach starts in a river canyon where several cozy gîtes offer cute overnight lodging. The landscape is similar to North American mountains, a bit drier, and with a more "wild" feel. 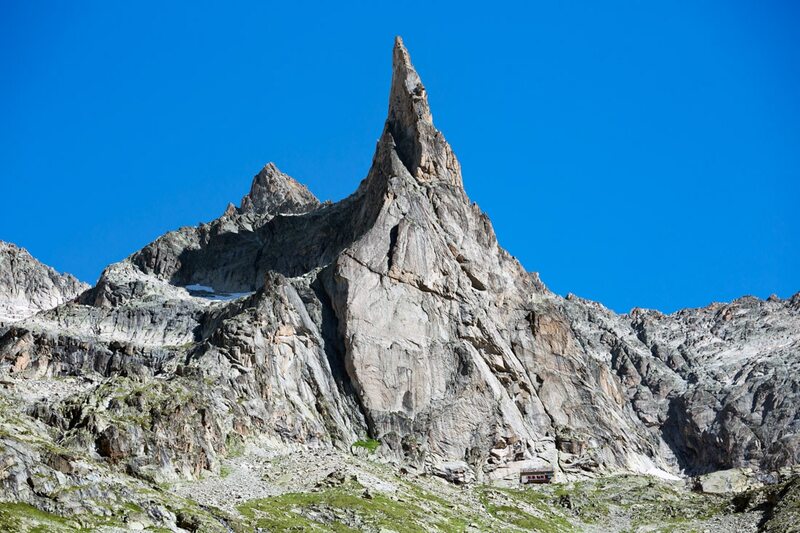 The Aiguille Dibona rises like a monument, it is clearly the hero of the valley. Directly at the base of the Dibona is the Refuge Soreiller, a mere 10 minutes from the routes. This is home, and Martine Turc is your very lively hostess. The climbing itself is abundant, the vast majority of which is easy to moderate. 5b to 6b. The Normal Route is very easy at about 4a, or Alps' PD. 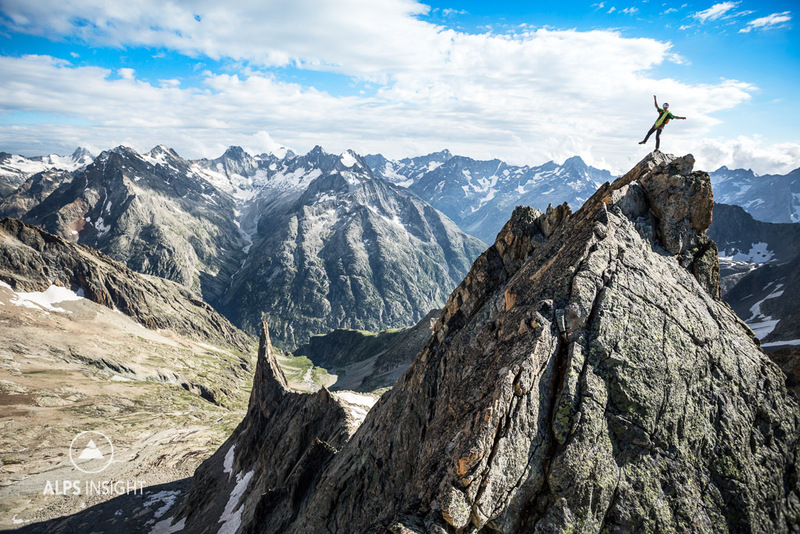 There is additional climbing on neighboring peaks and walls as well as a ridge climb to the Aiguille Centrale above and north of the Dibona. TIP: Weekends are busy, if possible go during the week. You'll likely need a car to get to this one, and stay some extra days to climb more than the classics on the Dibona itself. 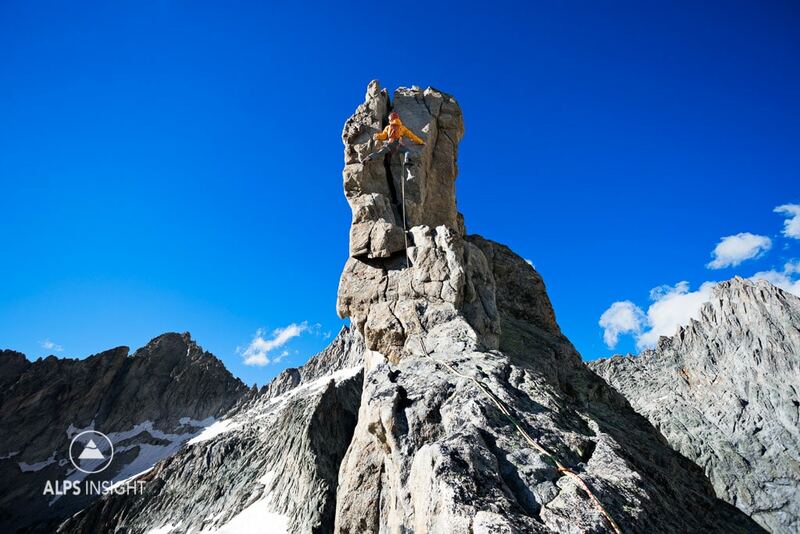 The Aiguille Centrale has a great PD ridge climb on solid rock. 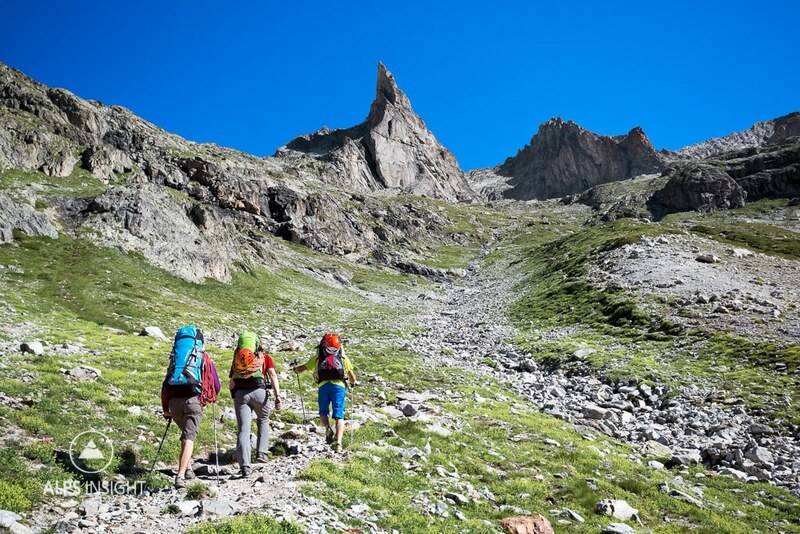 Climbers walking in through the beautiful landscape of the Écrins National Park, France. Refuge Soreiller, 10 easy minutes from the base of the routes. 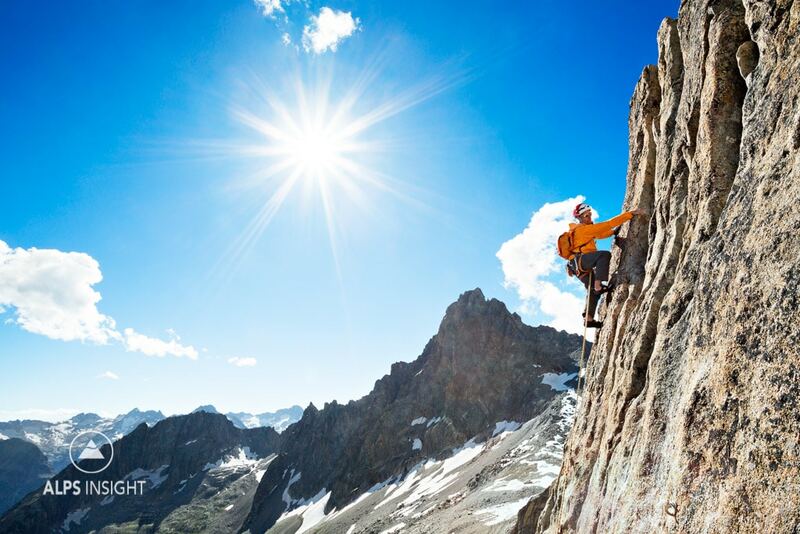 Gold granite, blue sky, warm sun on the mega-classic 6a+ route Visite Obligatoire. Arriving to the summit of the Aiguille Dibona. There is also hard sport climbing on the west side of the wall. 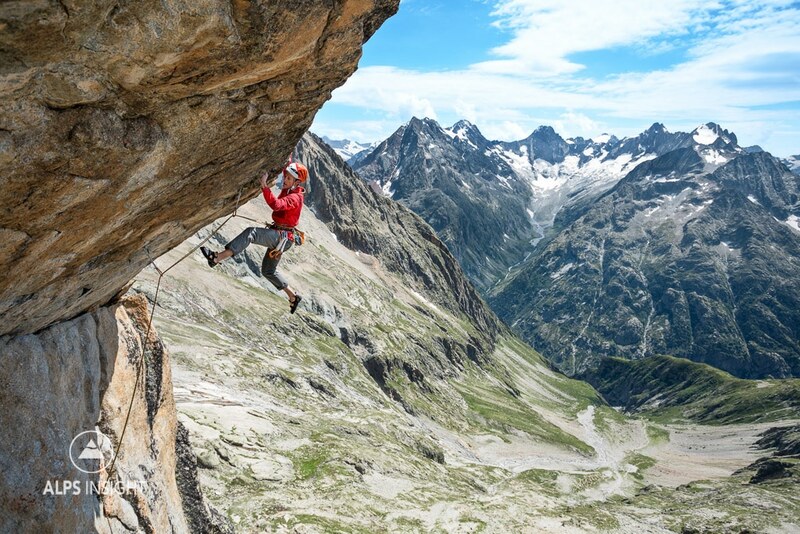 Here, Simon Duverney on a 8a+. Behind, and higher than the Aiguille Dibona (seen below) is the Aiguille Centrale, with an easy ridge climb to the summit.